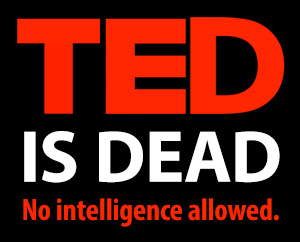 TED aligns with Monsanto, halting any talks about GMOs, ‘food as medicine’ or natural healing. Who the heck is TED and why should we care? I’ve asked my self this for a couple of years, I thought I’d finally look it up. From what I read about them thus far, first impression I feel they that run & belong to TED believe they’re spacial and just a bit better then the rest of us minions. On this forum, hmm they seem to like to close their topics on gmo food, clink. They like to us the keywords of this GMO era misinformation, Conspiracy theories, when in truth there is NO evidence that genetically modified organisms are safe for humans, the environment, in fact some claim to the contrary. I think this quoted paragraph found on International Business Times where they seem to also be on the side of GMO, are trying to appease the general public that is pro labeling & anti-gmo stuffed down our throats about the FDA tells us a thing or 2 if we listen to our little voice. “Genetically modified organisms are a terrifying development when we know they exist, but there’s a new system of creating GMOs that’s getting a complete pass. By fiat, our governments are allowing a process that produces genetically modified ‘foods’ for sale with absolutely no oversight. They can be called natural, or simply not labeled. Nothing, absolutely nothing, interferes with their introduction into the food supply. So, it seems to me that TED is perhaps the 1% or 2% of the population, the Elite it seems that they want us to cease our talk of food as medicine ( fook you) natural healing (fook you again) and any talk of GMO. Okay I never spoke in your house TED, an other maybe not, not in your house but yours isn’t the only house on the planet, in any case, not yet. 90 % of the gmo crops on the earth belong to Monsanto, a chemical company now doubles as agriculture. • FDA on Bio technology. This blog is for informational purposes &my opinion.